This computer controlled, pneumatic wave pool system is a pioneering technology equipped with the ability to create small and multi-pattern performance wave systems. It is your very own beach front. It brings the sea to the water park. The different tidal movements alternate to provide refreshing fun. Beach of Sentosa, a complete fun of beach can be experienced with your family. a irresistible treat. In order to meet the client’s demands and requirements, we are into providing a wide array of Wave Pool. Our Wave Pool is constructed by our vendors by using advance technology and finest quality constructed material. We are counted as one of the famous organizations for offering a premium quality Wave Pool . We are offering to our valuable customers a wide range of Wave Pool. 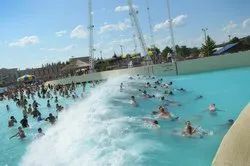 Wave Pool in various sizes and different colors. Procured from recognized sources of the market, these wave pools are reckoned for their attractive designs, energy efficiency and cost-effectiveness. 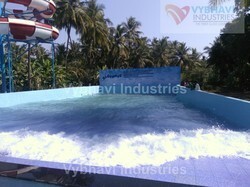 We are leading consultant and service provider for wave pool. With thorough expertise and understanding of this industry, we are enormously involved in offering Wave Pool . With sincere intentions to preserve and uplift our reputation in the market, wave pools which are manufactured using premium quality raw material .